The need for education emerged as a theme across panels, with speakers representing both the public and the private sector stressing its importance. 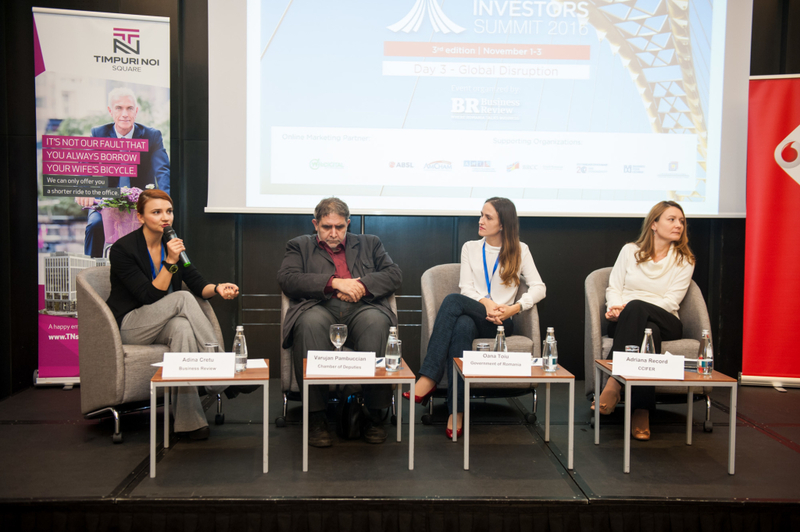 A speaker on the Industry Zoom: Impactful Entrepreneurial Ventures panel, Ilinca Paun – Managing Partner, Colliers International spoke of the need to bring companies closer to startups. “In Romania we have a lot of entrepreneurial spirit. Young people hate corporations. That is why, they should integrate more startups in their structure. Young people are much braver than we were,” she said. “Education is not a responsibility of all factors involved taken separately, namely the state, the schools, the parents and the students, but of everyone taken as a whole,” Oana Toiu, State Secretary with the Labour Ministry said.